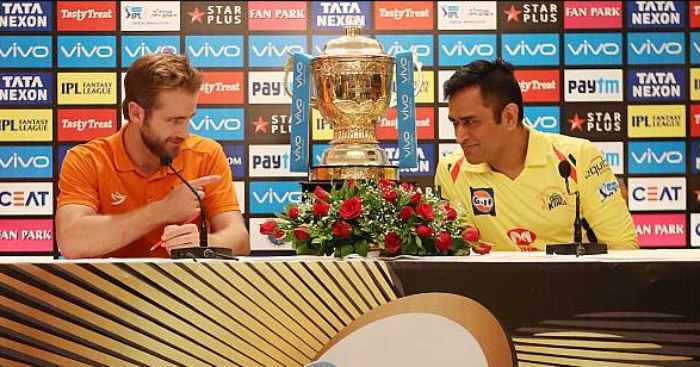 Ahead of IPL 2018 final; Chennai Super Kings (CSK) playing against Sunrisers Hyderabad (SRH) on Sunday 27 May 2018 at Wankhede Stadium, Mumbai, two coolest captains MS Dhoni and Kane Williamson addressed the media along with their coach Stephen Fleming and Tom Moody. 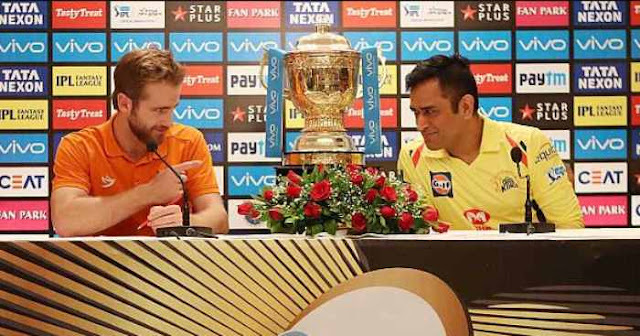 MS Dhoni talked about the emotional aspect of the tournament for the team that returned to IPL after two years of hiatus. Along with he talked about the CSK could not play matches at their home ground due to political issues. Pune became their second home, but that doesn't mean that Captain Cool forgot the home base during the tournament. He addressed the media about their campaign throughout the tournament. Stephen Fleming, CSK head coach praises Ambati Rayudu for his match-winning performance and told that he will help CSK to win IPL 2018 Finale. In this season Ambati Rayudu had scored 586 runs from 15 matches. The emotional aspect was more at the start of the tournament. Once the tournament starts, you have to be more professional than emotional about it. Yes, we are a bit disappointed that we couldn't play matches in Chennai, but at the same time, we are still happy that we at least one game happened in Chennai because the fans were waiting for a long time for this moment. The last two years we were not there but our fan following kept increasing, the fans were waiting for us to come back and start doing well. It's unfortunate that we are not playing in Chennai, but as I said, being professional is more important. Experience really counts but it's not that it always matters. It is not something that can't be replaced. Excess of everything is bad. The good thing is we have managed with them very well; we have got quite a few good fielders in the side. It is good that whenever we have played we have had at least two good fielders or outstanding fielders that can man that deep midwicket position. We have done well so far but it is something that can hurt us at any time. The captaincy came fairly suddenly. It's been an enjoyable experience. I think as a franchise being involved for a few years and the team has changed quite a lot it some ways with 14 new players. It was exciting to learn something about myself and the guys in the team; different cultures from different parts of the world along with Tom and the management. David Warner is a big part of the franchise as a player and as a leader. He's contributed so much in the last few years and obviously as events unfolded, things changed pretty quickly. But as a team, we gelled pretty quickly together to try and start operating well as a unit. Rayudu has been very good. He has been one of the players to have contributed in match-winning performances. It is good to see him get some game time and gain confidence. The way he has done it has been rewarding from the coach and auction point of view. I guess teams win competitions when individuals win finals. So, we are looking again for that match-winning performance. It is going to have to come because the opposition is very good. He (Rayudu) is capable of doing that (match-winning performance) just like a number of other players. The load really has been shared throughout the tournament. I think it's been an easy transition for our team given that Kane's been part of the Sunrisers setup for a few years. Those who were there in the previous years were very familiar with Kane as a person and a lot of people sort of forget the fact that even though you don't have a type as a leader, he naturally offered his leadership around the group. Whether he was in the playing XI or not in the playing XI, I know for certain (that) Warner relied on him a lot with his advice on match day or outside. So, given that was the history, the actual transition was a very smooth transition. I think it's just a case of him adapting to a new environment to captain and the IPL is a unique environment and he's done that like a duck to water. Look I think we can all recall the last game we played. We could have won that game by 20 runs or lost it as we did. It was a remarkable comeback from CSK. I guess we got 90 percent of that game right and you got to give credit where it's due. Faf played a remarkable inning and showed his class and experience to be able to see it right to the end. You know, I'm not looking at areas that we need to tighten up. We just need to concentrate on our brand of cricket and make sure we bring that to the final tomorrow. And as long as we do that, I'm sure we'll be competitive on the day.